We welcome you to St Mary’s Convent to find stillness, space and refreshment. 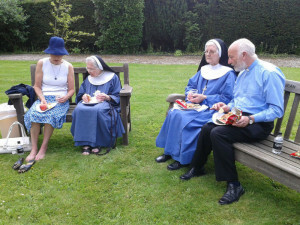 There is also the opportunity to join the Sisters at the Eucharist and Daily Office, for those who wish. For further details of our Guest Wing, please click here. For further details of White Lodge, please click here.